The EOS 1Dx Mark II is Canon's new flagship DSLR, aimed at the demands of professional sports and wildlife photographers, and photo journalists. 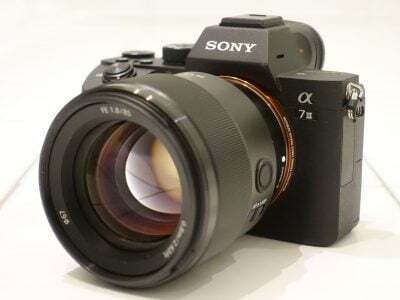 It features a new 20.2 Megapixel full-frame sensor, shoots up to 170 RAW frames at 14fps with AF, employs a 61-point AF system and can film Cinema 4k video at up to 60p or 1080 at up to 120p. The sensor is Canon's first full-framer with Dual Pixel CMOS AF, allowing the 1Dx II to confidently refocus during movies and Live View and you can even pull-focus using the new touch-screen. Yes, a touch-screen, and there's a built-in GPS receiver too, although the construction still rules out internal Wifi. Check prices on the Canon 1D X Mark II at Amazon, B&H, Adorama, or Wex. Alternatively get yourself a copy of my In Camera book or treat me to a coffee! Thanks! The EOS 1Dx Mark II is Canon’s new flagship DSLR, aimed at professional sports or wildlife photographers and photo journalists. Announced in February 2016, in time for the big sporting events of the year, it’s unashamedly a specialist camera, engineered to be tough, fast and confident. It features a new 20.2 Megapixel full-frame CMOS sensor which can shoot up to 170 RAW files at 14fps with continuous AF, as well as supporting 1080 video at up to 120p and 4k up to 60p. There’s also a touch-screen, built-in GPS and dual memory card slots, one for Compact Flash, the other for new C.Fast 2.0 cards. The new sensor, designed and manufactured by Canon, becomes the first full-frame sensor to support Dual Pixel CMOS AF which can temporarily turn any of the pixels into phase-detect AF points, allowing confident refocusing in Live View and movies. The effective array covers 80% of the frame and unlike earlier APSC versions works in both 1080p and 4k up to their maximum frame rates. Combined with the touch-screen, you can tap to refocus in Live View and movies. The EOS 1Dx Mark II becomes Canon’s first non-cinema camera to support 4k movies and as such becomes the replacement for the 1Dc as well as the 1Dx. Impressively 4k is available at rates up to 60p, and rather than frame in UHD, the 1Dx Mark II captures in the slightly wider Cinema 4k format at 4096×2160 pixels; this frame is cropped at 1:1 from the sensor for a clean image without scaling (resulting in a 1.3x field-reduction) and encoded using Motion JPEG at 800Mbit/s in 4:2:2 / 8-bit. Full HD video is also available up to 120p for slow motion, and you can record 4k or 1080p for up to 29:59. Sales start in May 2016 at a body price of $5999 USD / 5199 GBP / 6999 EUR, but keep reading for more details and my hands-on first impressions which include a brief video demonstration! In the video below you’ll hear the EOS 1Dx Mark II shooting at its fastest burst speed of 14fps and see how the combination of a touch-screen and Dual Pixel CMOS AF allow the body to easily pull-focus while filming movies. We may have seen this refocusing performance on the earlier EOS 70D and EOS 7D Mark II, but these employed APSC sensors, only worked up to 1080 / 30p and in the case of the 7D Mark II, there was no touch-screen. It’s important to remember the EOS 1Dx Mark II is the first full-frame body from Canon to feature both Dual Pixel CMOS AF and a touch-screen, a killer combination for movie AF and hopefully a pairing we’ll see on future full-frame bodies. While I’m personally excited by the new movie, touchscreen and live view AF on the EOS 1Dx Mark II, it is first and foremost a professional sports and wildlife body. As such, the ability to track and capture action in long bursts is essential. 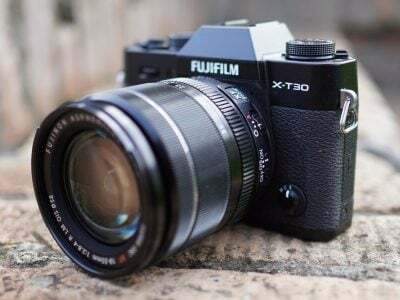 You already know it can shoot at 14fps (2fps more than the 1Dx and Nikon D5 when all are continuously autofocusing) and – so long as you’re using a C.Fast memory card – the buffer is deep enough to record 170 uncompressed 14-bit RAW files, or four times that of the 1Dx. At 14fps that represents just over 12 seconds of action, which in sporting terms means you could essentially capture an entire 100m race at the Olympics including some celebration at the end by simply holding the shutter release button down as the gun is fired. Switch to Live View where you effectively have mirror-lockup and the 1Dx Mark II can accelerate to 16fps, albeit with focus and exposure locked on the first frame. Shooting at such high speeds places greater demands on the mirror mechanism and the risk of unwanted vibrations. So for the EOS 1Dx Mark II, Canon has employed an improved motor system to more effectively brake the process and minimize viewfinder blackout, while an increase in potential dust due to static are dealt with by a new wave cleaning system. Canon rates the shutter as being good for 400k actuations. Fast burst shooting is only one half of the equation though. A confident AF system is essential and Canon has upgraded the already capable system of the original EOS 1Dx here. The Mark II’s viewfinder AF system at first looks similar to its predecessor with 61 AF points, 41 of which are cross-type sensors, but now the entire 61-point array works at f8 as oppose to just the centre point on the 1Dx, and 21 of those remain cross-type at f8 too – great news for those shooting with tele-converters. The AF system also now works down to -3EV compared to -2EV on the 1Dx Mark I.
Canon’s gone further though when it comes to predictive AF. The new AI Servo 3+ system can actually exploit the gyros in Image Stabilised lenses to sense the motion of the photographer. By knowing where and how fast the camera and lens are being pointed, the AF system has a better idea of where the subject is moving to, in turn allowing more accurate tracking to take place. Canon says this works with all IS lenses and doesn’t require a firmware update. Meanwhile a new 360k dot RGB+IR metering sensor – which even sports its own dedicated DIGIC 6 processor – offers better subject and face recognition, while also supporting flicker detection which will delight anyone who shoots under indoor lighting. Metering is divided into 216 zones which may be a little less than the 260 of the original 1Dx, but all remain active regardless of light levels, whereas the 1Dx could reduce to as few as 35 in low light. The body is quoted as being as tough and weather-proof as the original model, which means it’s no surprise to find Wifi is still not built-in. While its absence is frustrating on any modern camera, let alone the flagship, it’s due to the construction of the body here. For wireless connectivity, you’ll need to buy the optional Wifi adapter which at least enjoys greater range than built-in Wifi and also now supports FTPS protocols for secure file transfer. I am however pleased to report Canon has managed to accommodate a GPS receiver in the head of the EOS 1Dx Mark II and it can automatically tag images with latitude, longitude, elevation and time details. You can configure it to stay on permanently for the quickest re-acquisition times, or switch it off completely to save power. Speaking of which, the battery should be good for 1210 shots under CIPA conditions and should the charge fall below 50%, the frame rate can be automatically reduced to extend the life. Returning briefly to the screen, I may be delighted it’s now touch-sensitive, but more than a little disappointed to discover it only works in live view and movies when repositioning the AF area. Sadly it is not deployed for navigation in the menus nor playback, and frustratingly isn’t even active when you’re entering the text for copyright details. While I understand some ‘pros’ dislike touch-screens, I feel Canon could have offered some degree of customization where you could enable it for greater control if desired, or off if you didn’t. It does seem a bit odd to laboriously enter your name in the copyright section when it could simply be tapped-out. Canon’s big rival in the professional DSLR World is of course Nikon, and it too has released an upgrade to its flagship body for the upcoming major sporting events. The new D5, announced a month before the EOS 1Dx Mark II, actually shares a fair amount of headline specifications in common, but as always there are a number of key differences when you scratch below the surface. Both sport tough bodies with built-in portrait grips, engineered to handle pretty much anything a working professional photographer can throw at them. Inside, both house new full-frame sensors, each sharing essentially the same resolution: 20.2 Megapixels for the Canon (5472×3648) and 20.8 for the Nikon (5568×3712). Nikon pushes the sensitivity of its sensor further than Canon though with the EOS 1Dx Mark II offering a maximum of 51200 ISO expandable to 409600 ISO, compared to a maximum of 102400 ISO on the D5, expandable to a massive 3280000 ISO. Using their respective expanded modes, the D5 can shoot at sensitivities five stops faster than the EOS 1Dx Mark II, but it remains to be seen how their quality compares. In terms of autofocus, the Nikon D5 features a broader and denser array of 153 AF points, 99 of which are cross-type and 15 operating at f8. In comparison the EOS 1Dx Mark II has a 61 point AF system, 41 of which are cross-type sensors, although at least all 61 of them will operate at f8. In terms of focusing in very low light, the Canon is rated down to -3EV compared to -4EV. So in specs, the Nikon D5 AF system is looking stronger, although Canon’s ability to exploit the gyros in stabilized lenses to better-predict where the action is heading could give it an advantage in the field. As always this is something we’ll have to test in practice. In terms of continuous shooting the D5 and EOS 1Dx Mark II can shoot at 12fps and 14fps respectively with continuous autofocus. Both will squeeze an extra 2fps if you lock the mirror up or shoot in Live View respectively, although you’ll lose continuous AF in doing so. While the Canon numerically has the edge in speed, both cameras are sufficiently fast for most photographers. Burst depth is also a factor but we don’t yet have comparable figures. I should however note that while both bodies have twin memory card slots, Canon has gone for one CF and one C.Fast, while Nikon offers two versions of the D5, one with a pair of CF slots and the other with two XQD slots. Interestingly both bodies are now equipped with 3.2in touch-sensitive screens, although they’re used differently. Canon’s touch capabilities are only supported during Live View and movies for repositioning the AF area and pulling-focus; sadly they’re disabled for menus, playback and text-entry. In contrast, Nikon’s touch-screen can be used in playback and for text-entry, although I’m confirming what’s possible in Live View and movies. I should also add the Nikon D5 screen is higher resolution with 2359k dots versus 1620k dots on the Canon; both however represent a step-up from the typical VGA screens on most cameras to date. Onto movies and both bodies now boast the ability to film in 4k in addition to 1080p, but here there are more significant differences between them. The Nikon D5 can film 4k using the UHD (3840×2160) resolution at up to 30p for clips lasting no more than three minutes. The Canon EOS 1Dx Mark II can film 4k using the Cinema 4k (4096×2160) resolution at up to 60p for clips lasting up to 29:59. In addition the EOS 1Dx Mark II’s sensor features Canon’s Dual Pixel CMOS AF technology which allows up to 80% of the pixels to temporarily operate as phase-detect AF points, in turn giving confident continuous autofocusing in Live View and movies; coupled with the touch-screen, it’s easy to pull-focus with a simple tap, and it also works well for tracking faces. Meanwhile the D5 is limited to contrast-based AF for movies and Live View which is unable to continuously track a subject effectively. While both cameras offer 1080p video, the D5 stops at 60p, whereas the EOS 1Dx Mark II offers up to 120p, allowing four to five times slow-downs on 30 or 24p timelines; 100p is also available for four-times slow-down on 25p projects. The D5 can film for longer in 1080 than it can for 4k, up to 10 or 20 minutes depending on the quality, but again the Canon keeps going to a second shy of half an hour up to 60p. The faster frame rates, longer recording times and effective continuous AF all makes the movie capabilities of the EOS 1Dx Mark II preferable to the Nikon D5. Interestingly Canon has also adopted Motion JPEG for its 4k movies compared to the more traditional H.264 on the D5. This results in larger files, but they’re quicker and easier to edit, and also allow Canon to offer a 4k frame-grabbing option to capture 8 Megapixel stills from video in-camera – and remember this is happening at up to 60 frames per second. Oh and while the tough construction of both bodies make internal Wifi a continued no-go, I am pleased to find Canon at least finding room for a GPS receiver in the head. Of course much of this discussion is academic. Partly because we have to test and compare them in the field to actually see how they actually perform, but more importantly because there’s few pro sports photographers who don’t already own one of the earlier bodies from Canon or Nikon and crucially a significant investment in lenses. As such few will switch from one system to another even if they wanted to, but at least both companies continue to upgrade their flagship bodies and the latest versions look stronger and more capable than ever. Canon has been accused of falling behind in some respects of late, but the EOS 1Dx Mark II is return to form, particularly in sensor technology. While the company is late to the party on 4k on non-cinema cameras, the Dual Pixel CMOS AF technology remains ahead of anything else out there for continuous autofocusing during Live View and movies. Not only is the sensor in the EOS 1Dx Mark II the first time Dual Pixel CMOS AF has been deployed on a full-frame sensor, it’s also supported in 4k and 1080p video at all frame rates – and lest we forget that’s 4k up to 60p when most non-cinema cameras currently stop at 30p. And while I was delighted to find Nikon equipping the D5 with a touch-screen, touch capabilities really come into their own on the 1Dx Mark II in conjunction with the smooth and confident AF, allowing you to tap to pull-focus easily and effectively. It’s also interesting to see Canon thinking out the box – or body anyway – by exploiting movement information from the gyros in stabilized lenses to help it predict where a subject is heading next. And while I’m sad there’s still no way to accommodate practical Wifi in this kind of body, at least Canon’s managed to squeeze a GPS receiver in there. This and more makes the EOS 1Dx Mark II the company’s most powerful and confident pro body to date, but while I was being briefed, I couldn’t help but think how the sensor could also be used to finally deliver a movie-oriented upgrade to the ageing EOS 5D Mark III. Imagine an EOS 5D Mark IV with the movie capabilities of the 1Dx Mark II. It wouldn’t tread on the toes of the flagship, but could give rivals like Sony’s A7s II and A7r II a run for their money. 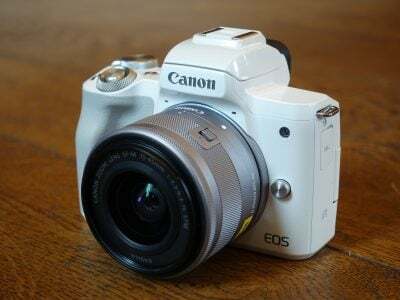 When the EOS 70D introduced Dual Pixel CMOS AF, I was delighted to use the technology but dismayed it took Canon so long to deploy it on another body. Here was an industry-beating technology that, if owned by Sony, would have found itself rolled-out into as many bodies as quickly as possible. Instead we had to wait years for it to even arrive on the EOS 7D Mark II. I sincerely hope Canon learns from this and what the competition is doing by deploying the same – or similar tech – in other bodies sooner rather than later. It’s taken a lead in sensor technology, but now needs to share it beyond the most expensive body in the line-up.